The Motorola W156 is the least of all my favorites when it comes to cellular phones that I ever set my hands upon. Overall, Motorola W156 is not that bad. However, I have some issues regarding this phone. 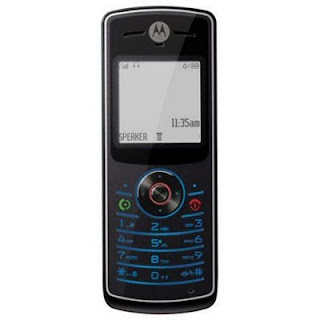 Motorola WI56 is a bar type 2G phone with a black and white screen. It is designed to be durable, yet not bulky enough to create discomfort and unease inside your pocket. W156 is simple to use and do not have other add on features like am/fm radio or mp3 player. It also features Motorola’s CrystalTalk technology that helps deliver crystal clear voice quality in noisy environments. Motorola W156 also brags a long battery life. That brag is not without basis since the phone can last for days if left idle. It also last long under continued use during texting and calling. My main problem with WI56 is its keypad, which is not embossed. The keypad set-up makes it hard for me to type my text messages. Oftentimes I hit the wrong key when typing my messages. Another problem that I have is when I am typing my text messages, I have a hard time shifting from small letters to capital letters and vice versa. Unlike the phones from Nokia, you can only change a letter from small letter to capital letter (or vice versa) if it is highlighted by the cursor. Motorola W156 is one of the most affordable Motorola phone in the market. However, I do not recommend this phone. It is better that you buy other phones from Motorola. Hmmm...maybe I am just to impatient with flat keypads.